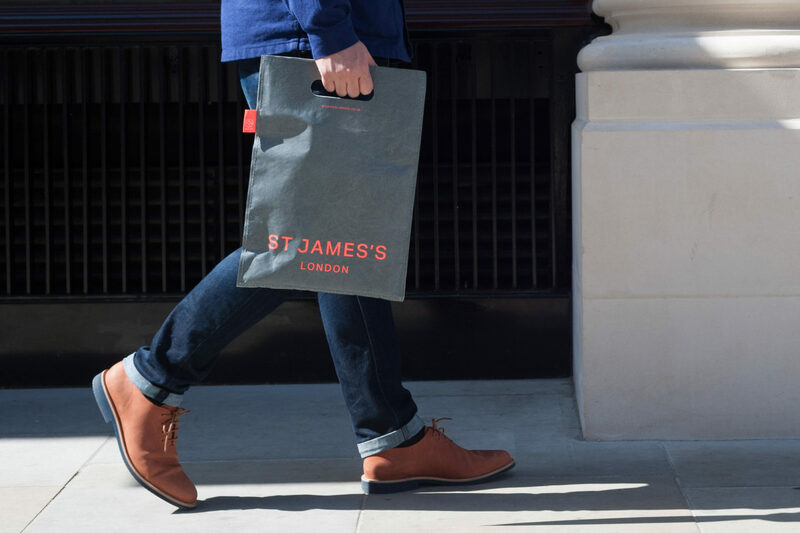 Despite its rich fashion heritage, high-end restaurants, and world-class galleries, St James’s was little-known or understood in the public imagination. 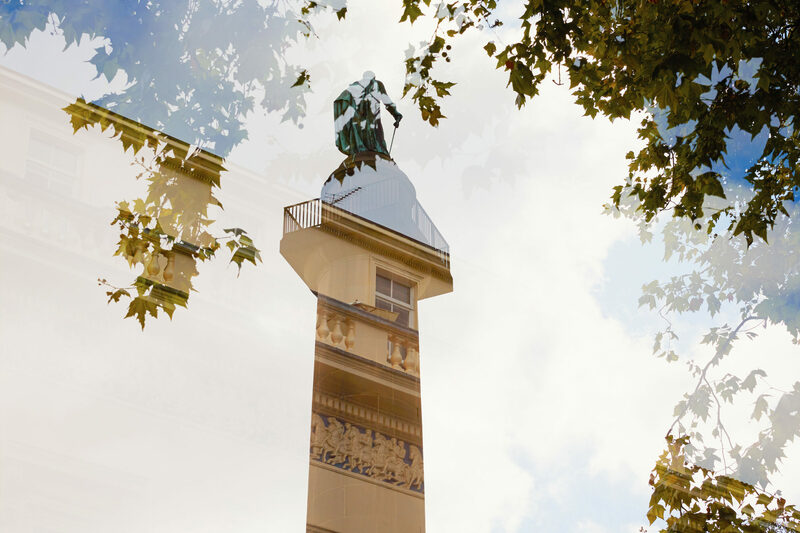 We redefined this central London area as a modern heritage brand. 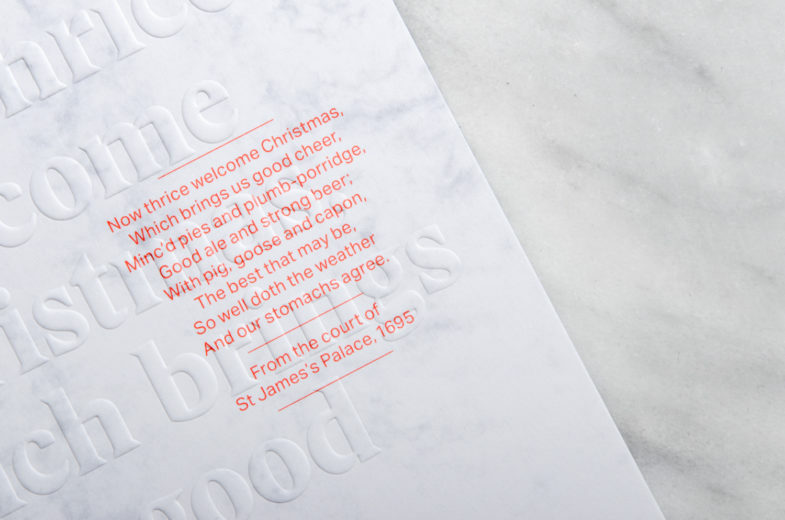 St James’s lavish history includes introducing coffee, chocolate and even the idea of the restaurant. 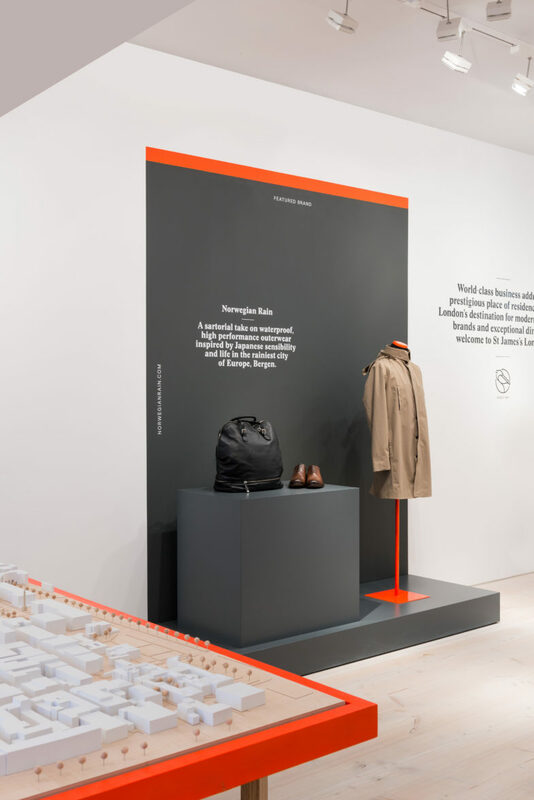 But, traditional and stuffy, it had no contemporary resonance with the general public or modern brands looking to open in London. 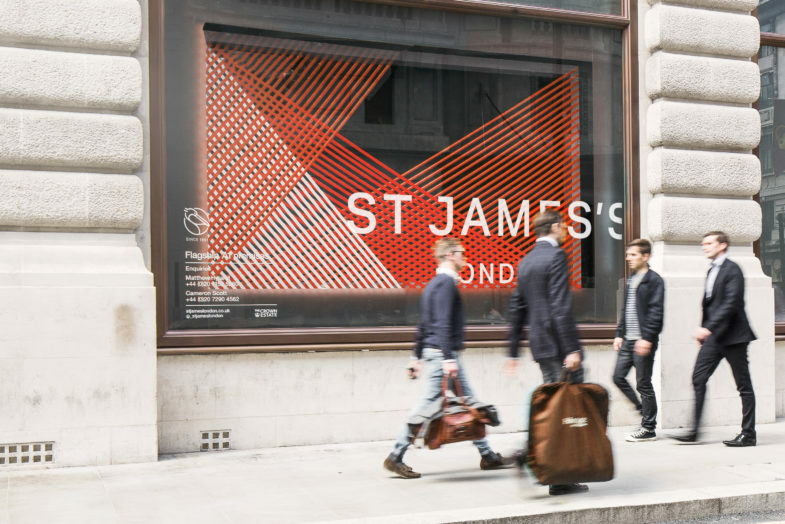 Working with the area’s landlord, The Crown Estate, we turned St James’s into a brand attuned to the luxury names they felt they represented and wished to attract. 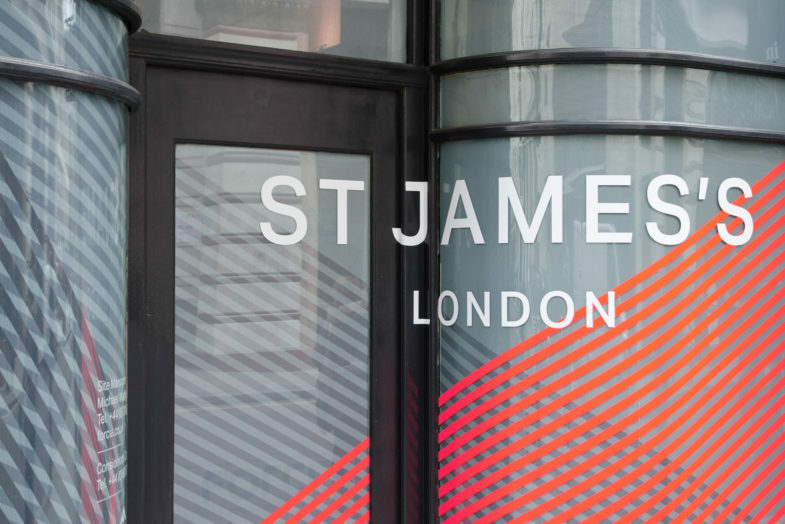 We crafted a brand motif for St James’s — the pelican. 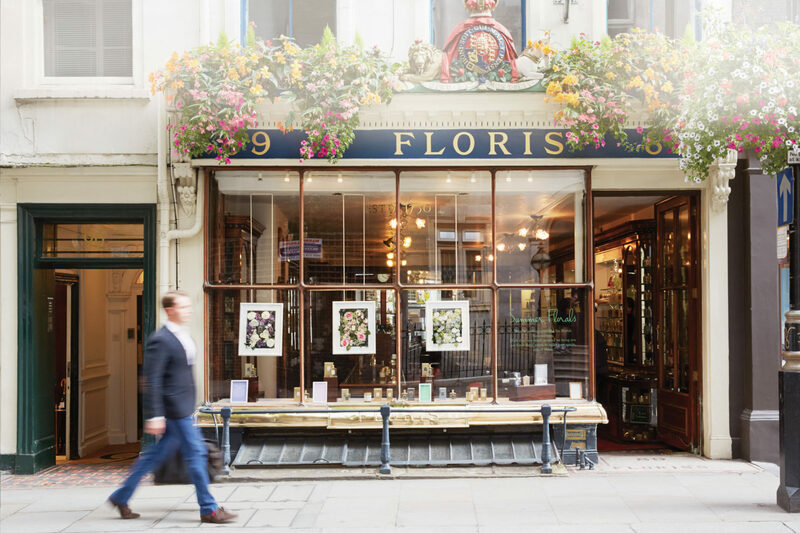 Introduced to St James’s at the exact time of its foundation, pelicans are also a treasured symbol of protection and guardianship — neatly reflecting the work of The Crown Estate in the area. 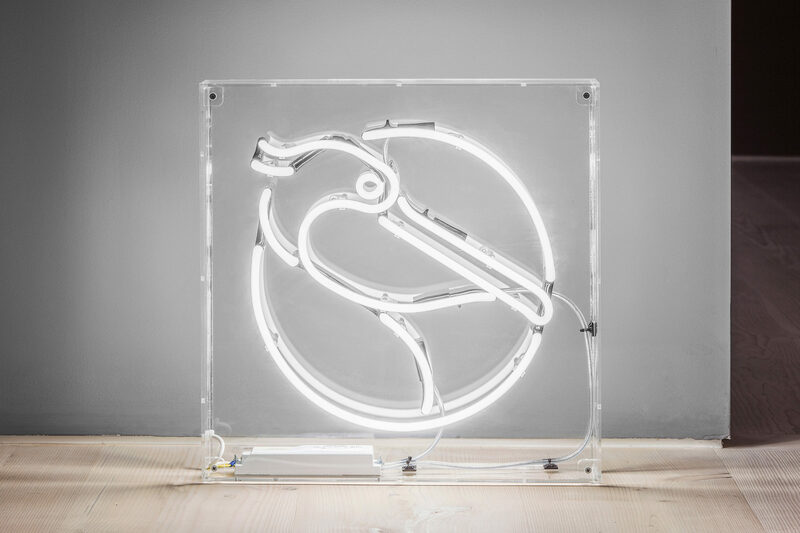 We paired the pelican with a contemporary word marque, referenced from the area’s many grand statues, and the use of a vibrant fluorescent pink, which became a defining and definitely modern expression for the new brand. 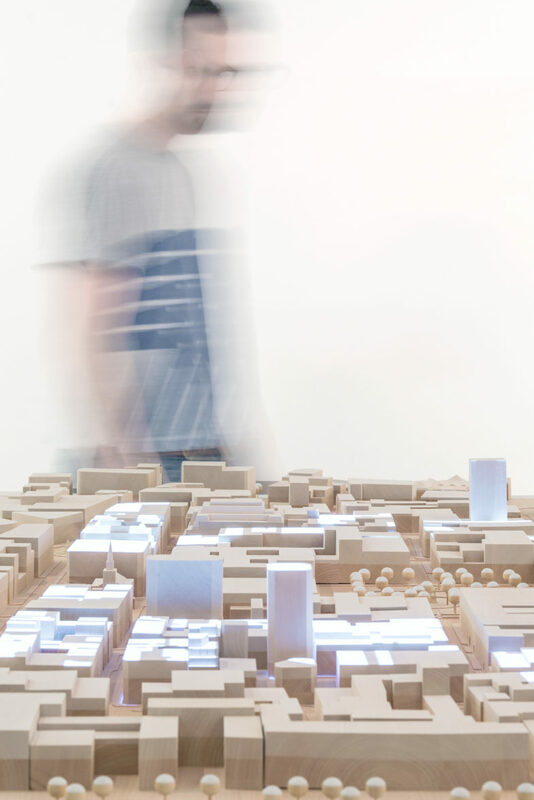 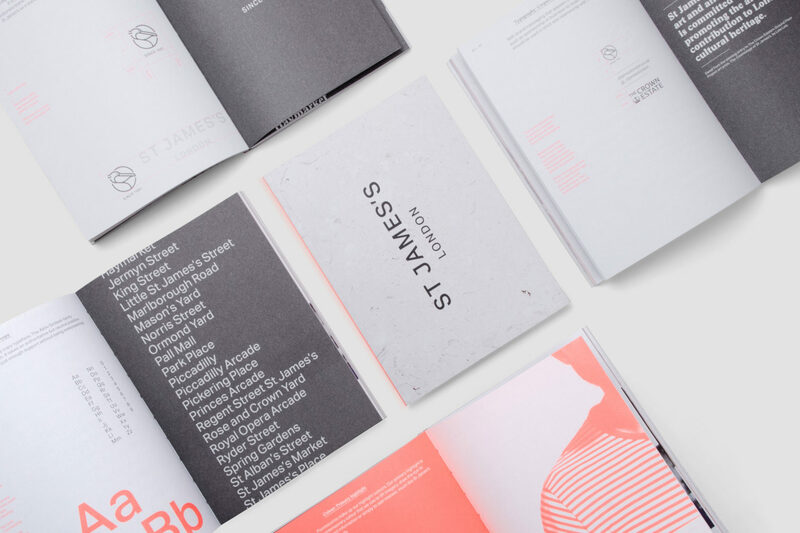 The branding came to life across a comprehensive set of marketing tools, covering every aspect of the brand from business cards to large-scale hoardings and from maps to consumer-focused area guides. 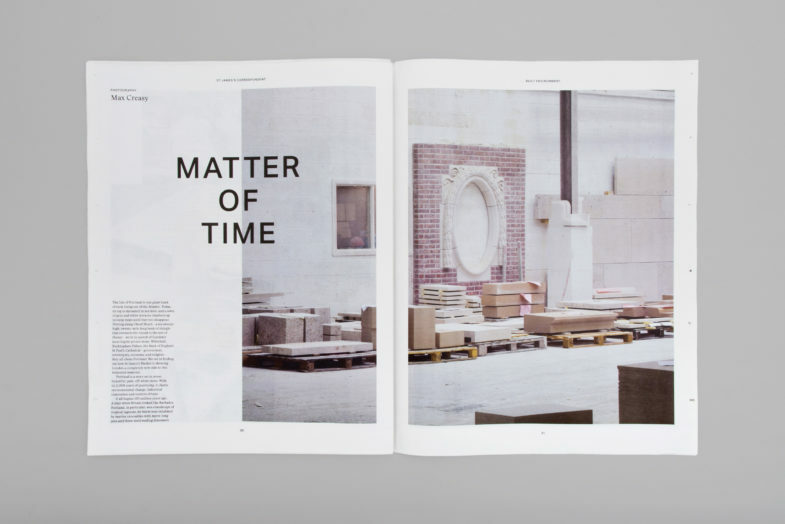 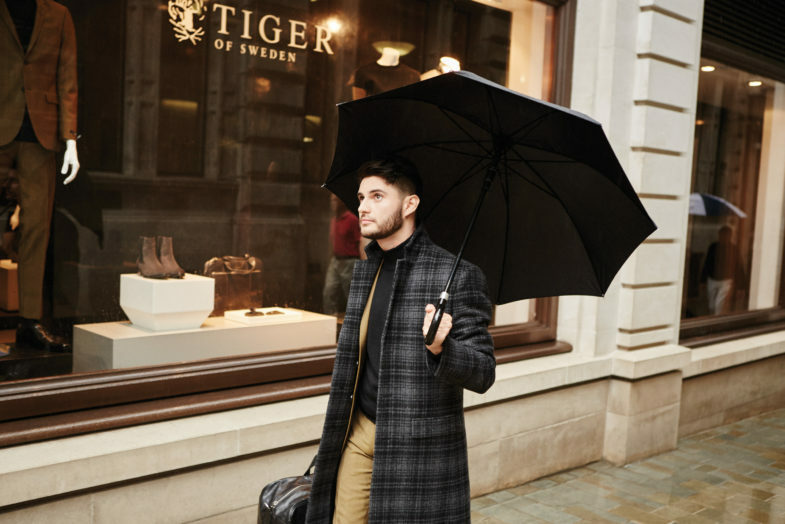 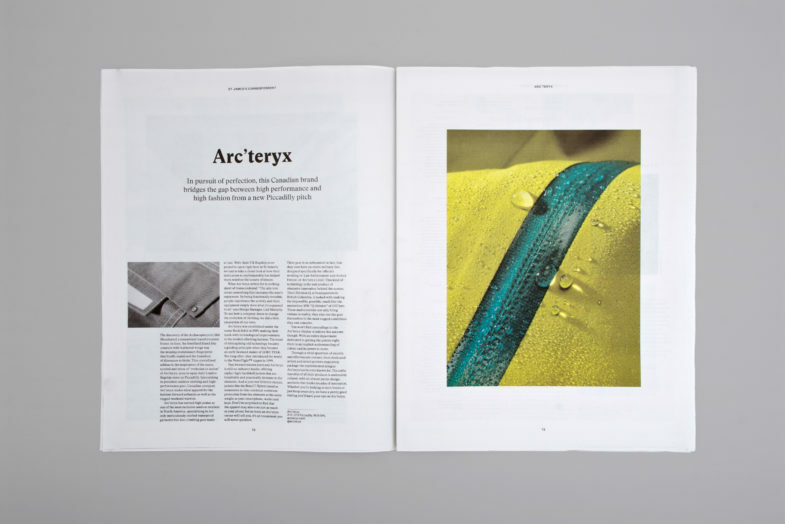 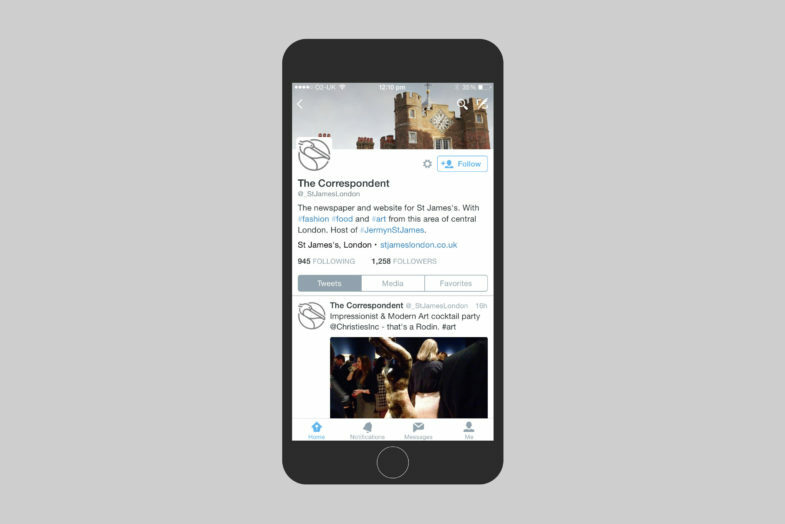 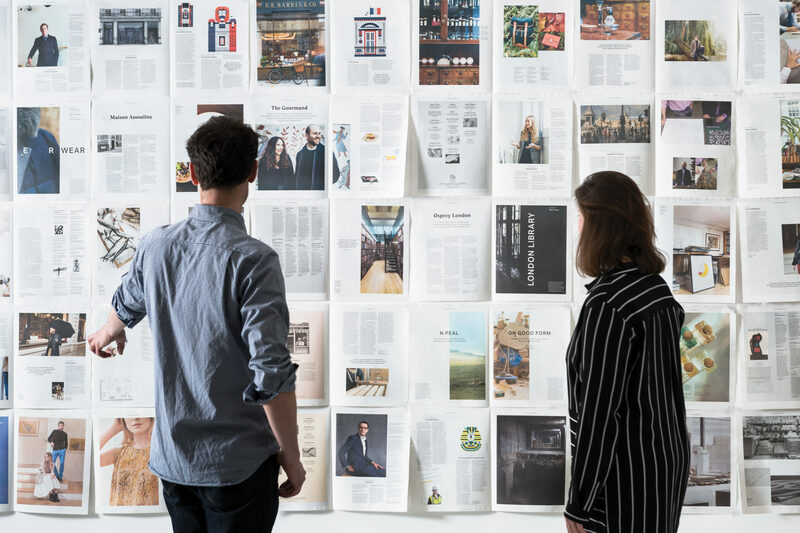 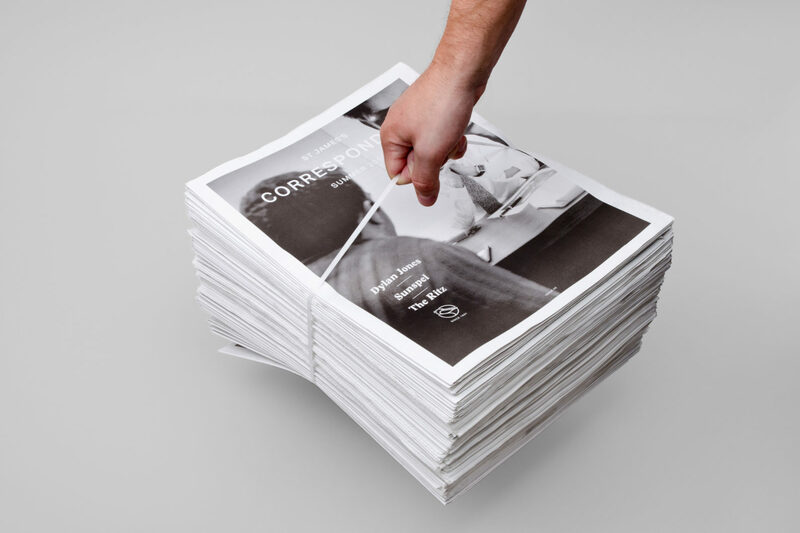 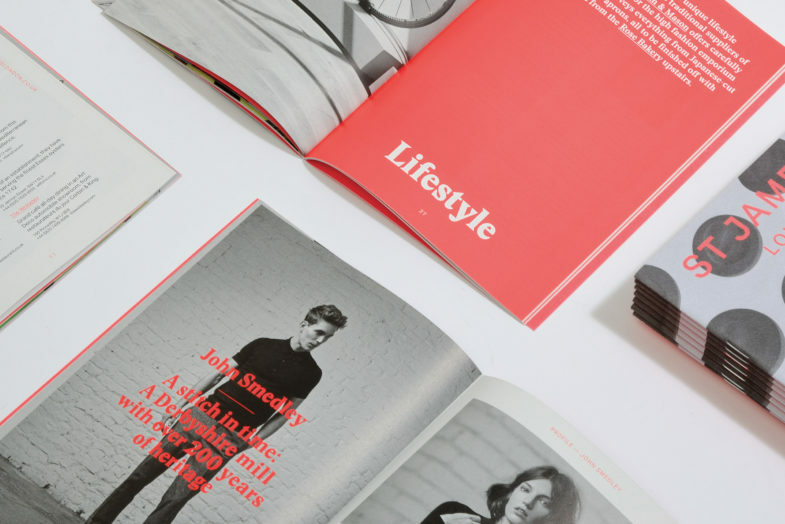 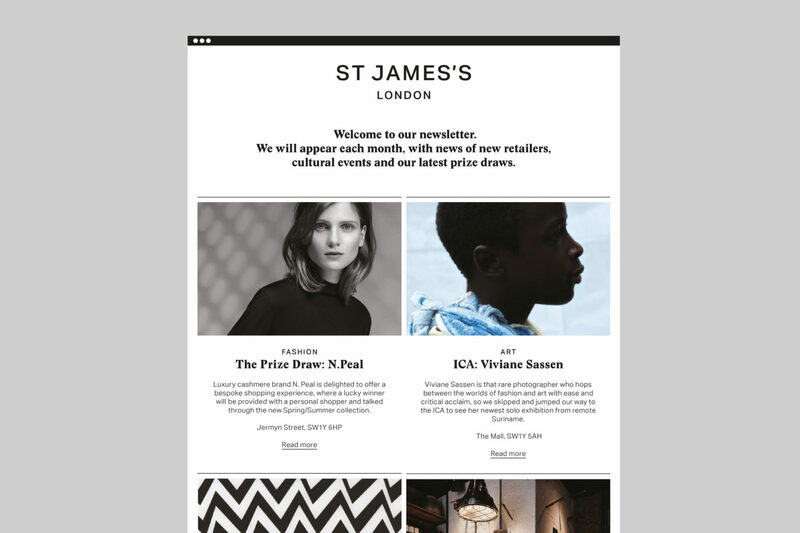 Through a robust content strategy, dn&co oversaw the multi-platform editorial output for St James’s to define the area in the minds of the public and luxury industry. 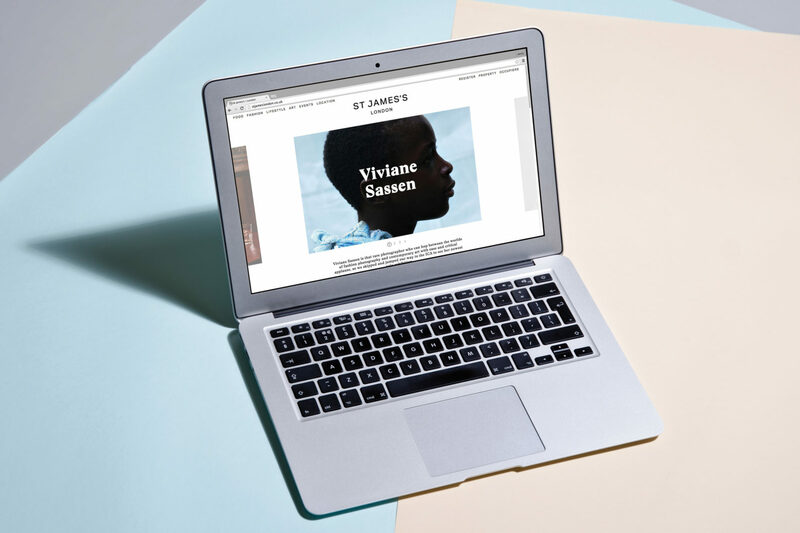 Channels include a quarterly newspaper with a circulation of 40,000, a mobile-first editorially-led website, an engaging social media voice, and a regular and informative email newsletter. 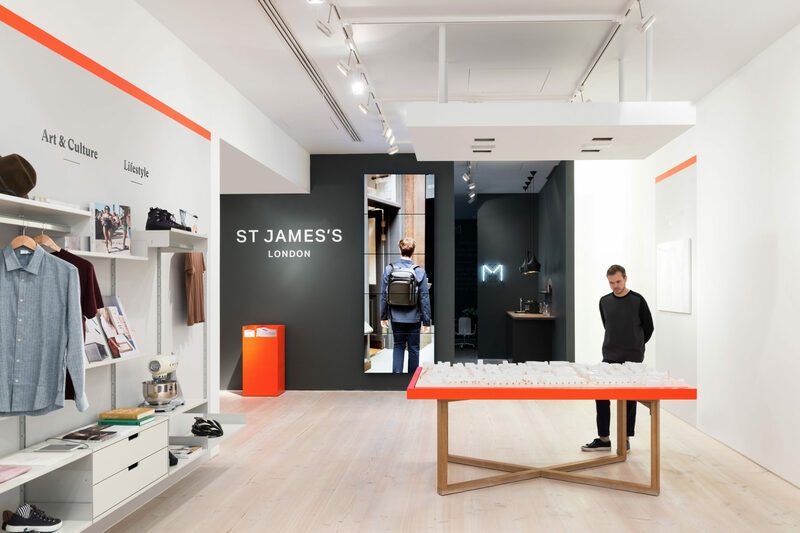 We created a stimulating 3,000 sq ft exhibition space for The Crown Estate to demonstrate their vision, showcasing the brands that define the St James’s experience. 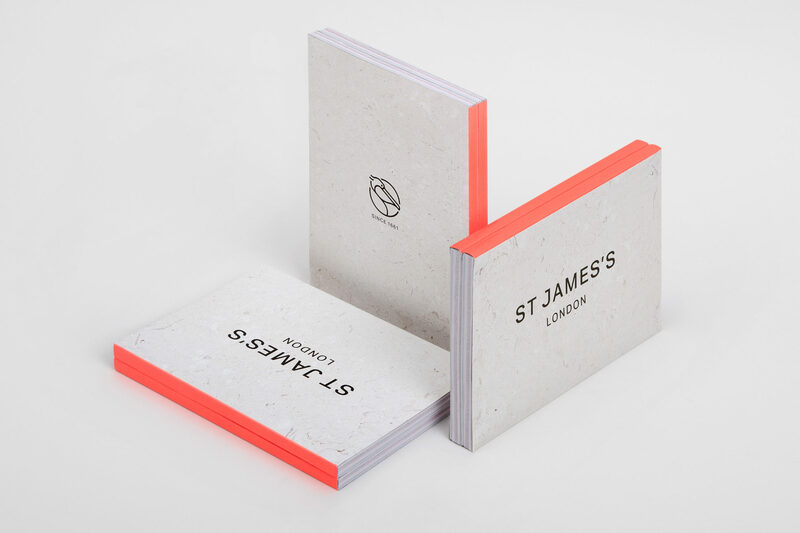 St James’s is full of unique people, places, and craft processes. 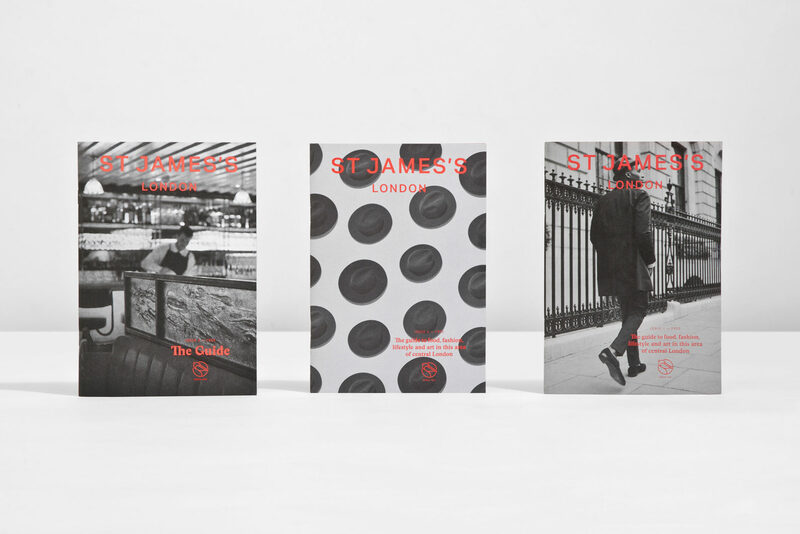 Our photographic approach documents the many sides to this slice of the city with both a deep respect but modern take on its visual riches.